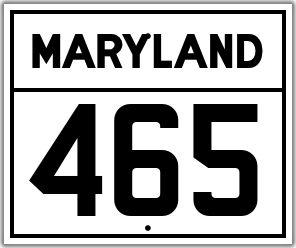 Original Maryland shield with the custom font used only by that state. 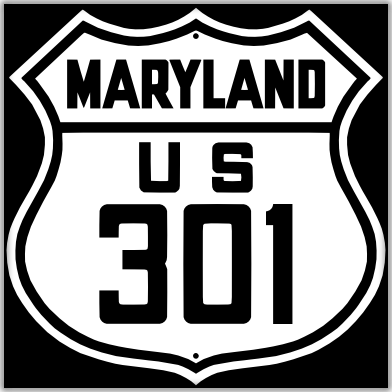 Maryland shield with MUTCD fonts. U. S. shield on black background, with custom Maryland fonts. The sign is 24 by 24 inches. It is printed using cutting-edge technology, to replicate accurately the look of classic Silver Scotchlite sheeting. 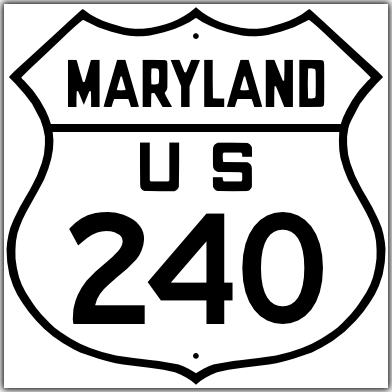 U. S. shield on white background, with custom Maryland fonts. 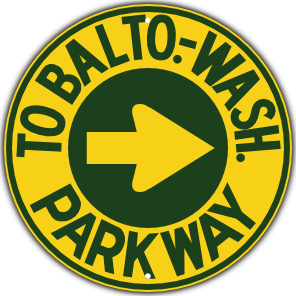 Rectangular highway marker with 1926 federal fonts. The sign is 12 by 10 inches. It is porcelain enamel on steel, just like classic signs were made back in the day. Available with any route number, with or without reflectors. 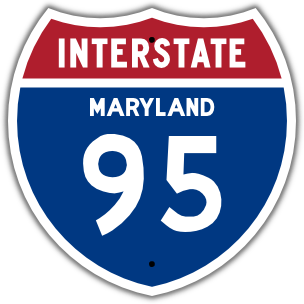 Rectangular shield with custom Maryland fonts. The sign is 18 by 15 inches. It is printed using cutting-edge technology, to replicate accurately the look of classic Silver Scotchlite sheeting. 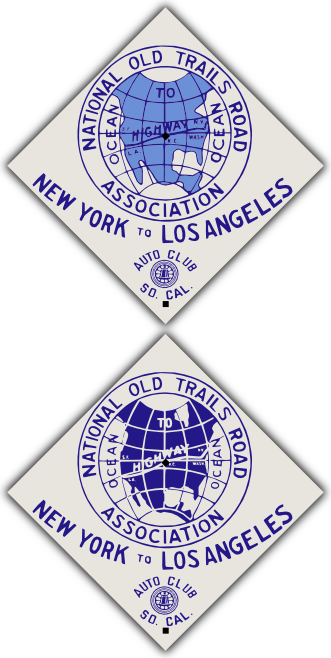 Cut out to circle shape with 1950s design. The sign is 18 by 15 inches. It is printed using cutting-edge technology, to replicate accurately the look of classic non-reflective signage. Your choice of arrow: eight cardinal directions, or with elbow.